Sarawak has become a favourite port of call for many cruise ships plying the South China Sea offering her passengers a unique adventure in this part of Malaysian Borneo. In Kuching, the tour programme consists of the Kuching City Tour, get up close with the Orang Utans at the Semenggoh Wildlife Center, appreciate the Heart to Heart Orang Utan Rehabilitation programme at the Matang Wildlife center, get a snap shot into the life of the main ethnic groups of Sarawak in the living museum of Sarawak Cultural Village and a real Bidayuh longhouse experience at Annah Rais. From Bintulu, you may choose to fly to Mulu via Miri to marvel at some of the largest cave complex and formation in the world. Gunung Mulu National Park is a UNESCO World Heritage Site. 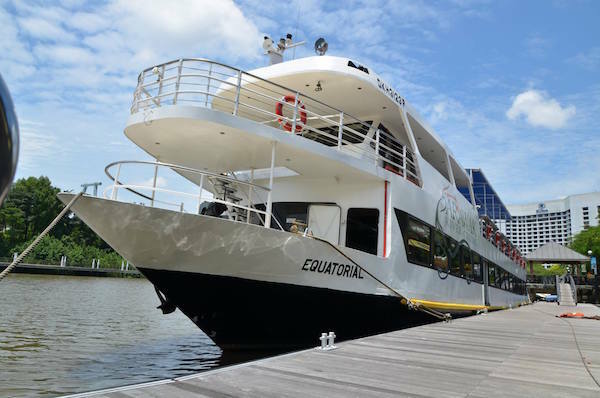 Among the cruise ships that have called on Kuching and Bintulu were MS Columbus (Germany), Pacific Venus (Japan), MV Orion II (Australia), MS Albatros (Germany), Spirit of Adventure (UK), MS EUROPA (Germany) and MS CALEDONIAN SKY (UK).